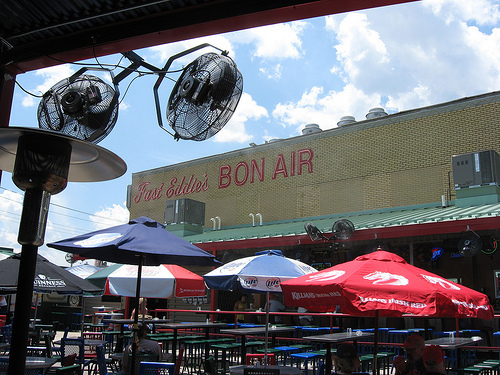 In 1921 Anheuser Busch decided to open a drinking establishment in the picturesque river town of Alton, Illinois. 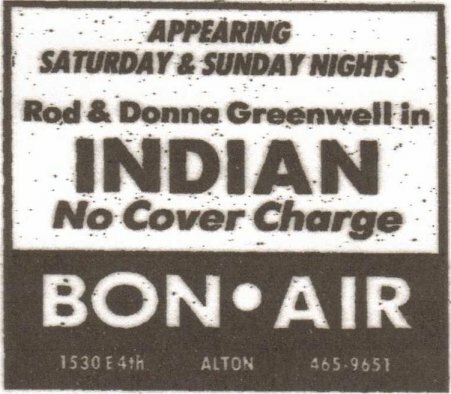 A yellow brick building known as Bon-Air, was constructed right on the corner of three streets, 4th, Pearl and Broadway. 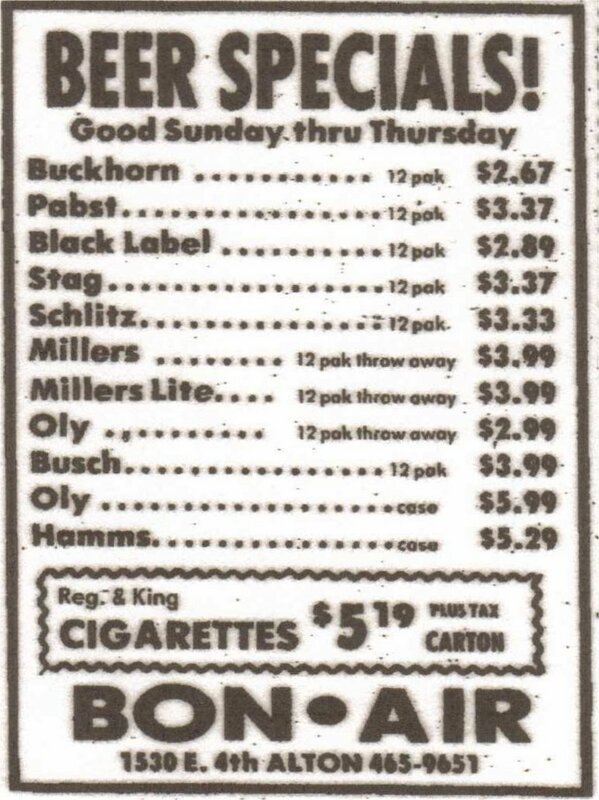 Approximately ten years later, Busch had to sell the tavern due to a change in the statutes, which prohibited breweries from owning drinking establishments. 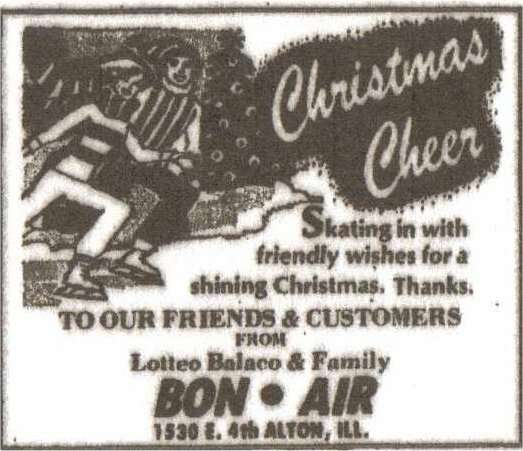 Sam Balaco, and later his son Lotteo, owned and operated the Bon-Air for 50 years. 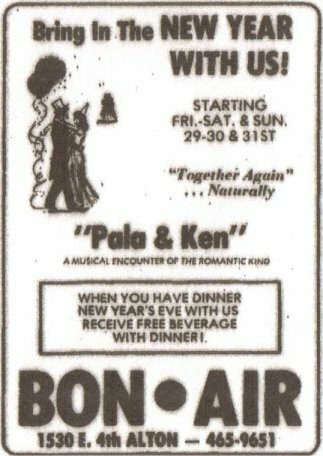 Then in 1981, in a move that would change history forever, Eddie Sholar (alias Fast Eddie) purchased Bon-Air. Things began to change – FAST! 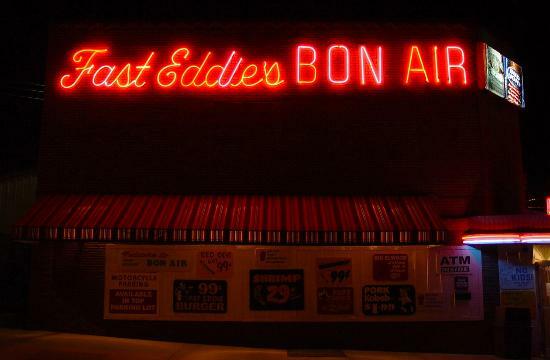 In the more than twenty years that Fast Eddie has owned Bon-Air, it has quadrupled in size going from 80 chairs (and a few beer cases) to over 400 chairs. And on the weekends, standing room becomes a premium commodity!